. . . Of Sketching that is! ☺ I got out all my how-to-sketch-horses books today and looked them over. Some I have had since grade school! (almost antiques now, I guess.) 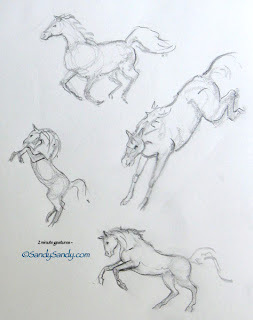 I read through all of them and got even more excited about sketching horses than ever before! I am coming up with my own formula. 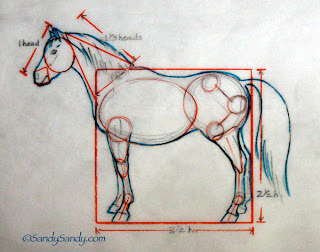 I think that if you learn how to draw a horse, (like the human body) you can draw just about anything. In college, my illustration teacher, Beth Krush, always said how I was really lucky to know horses so well, because they were so hard to draw correctly. 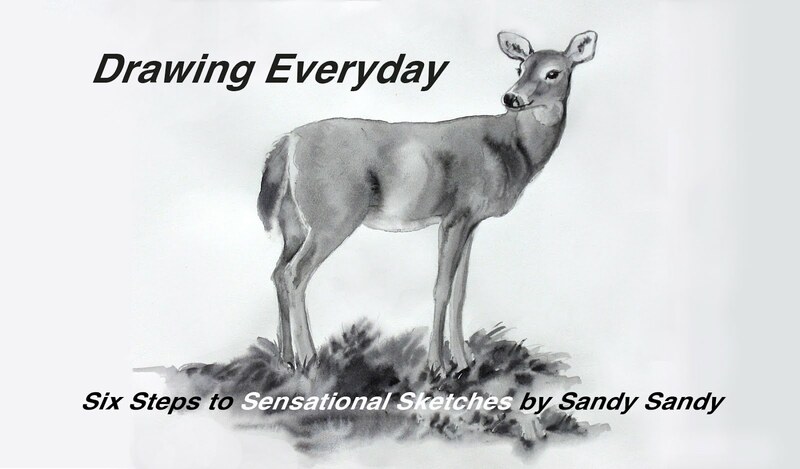 I am hoping to get even better at drawing them this summer as I study their anatomy and their physiology. I hope some of you all will enjoy my sketching journey as well! Today I did some more 2 minute gesture drawings too. Wonderful, Sandy! I love these. 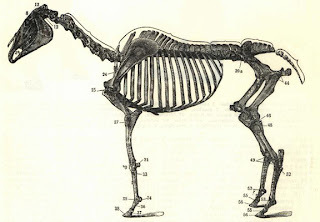 I've just started taking riding lessons, and have been thinking lots about horse anatomy. These are great. Good to hear from you. Thanks Liz! I would REALLY love it if you would join in on our sketching challenges! 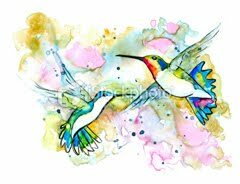 I am so glad I've found this blog, and it is a wonderful inspiration to me. I also love horses and love to draw them - with a lot of flaws. Thanks Ulla. I hope my blog will not only inspire, but will also be of help to you and your growth as an artist.